Our selection of brise bises stand out from the crowd with their pointed, straight or festooned bases, with or without pom poms. They come in different widths and lengths to fit your windows. 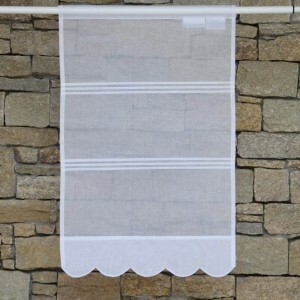 Our linen or organdy brise bises gently filter the light. 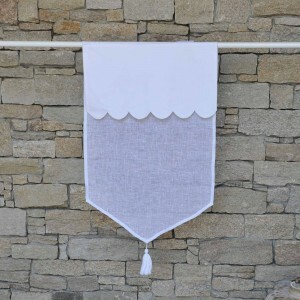 They're made from a natural material - linen gauze - and always come in very soft shades: white, natural, gray or two-tone. Most brise bises match our valances, so you can harmonize your interior decoration throughout. Our elegant linen matching curtains are a must-have to decorate your windows.